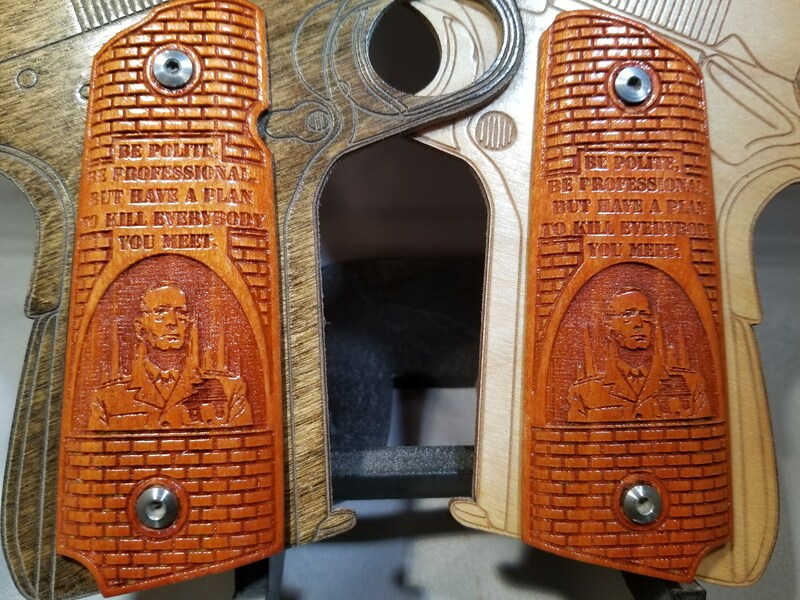 With Mad Dog Mattis for us, who dares to stand against us?!? 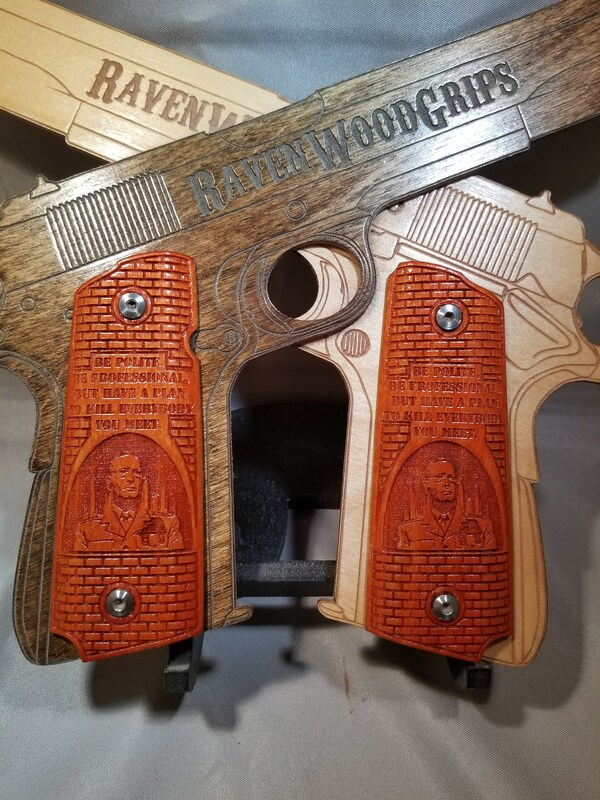 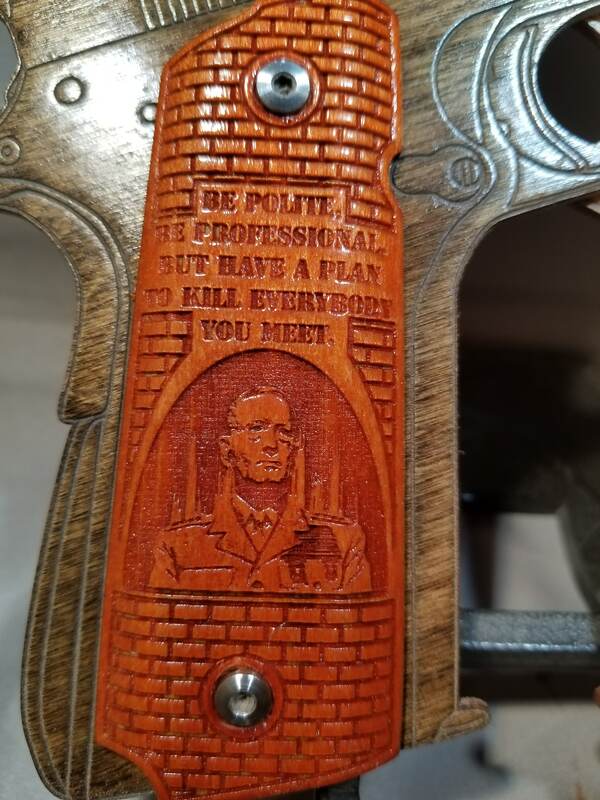 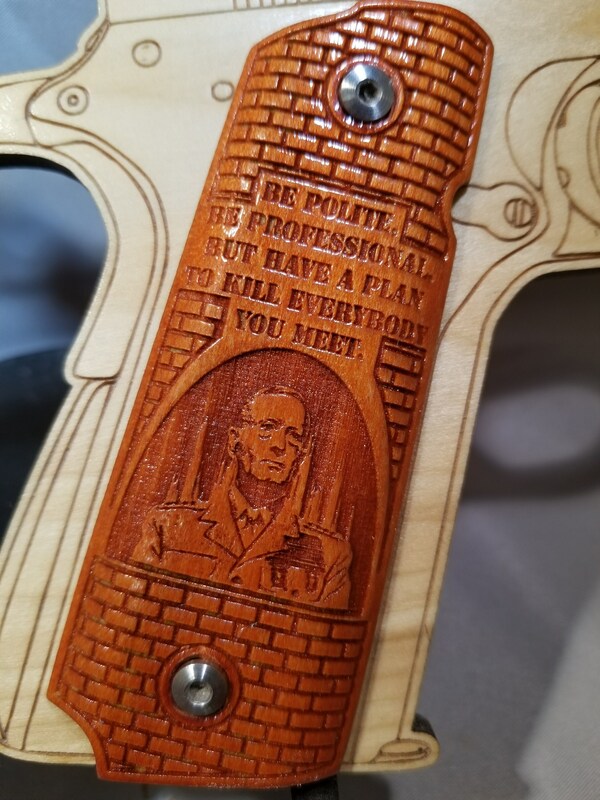 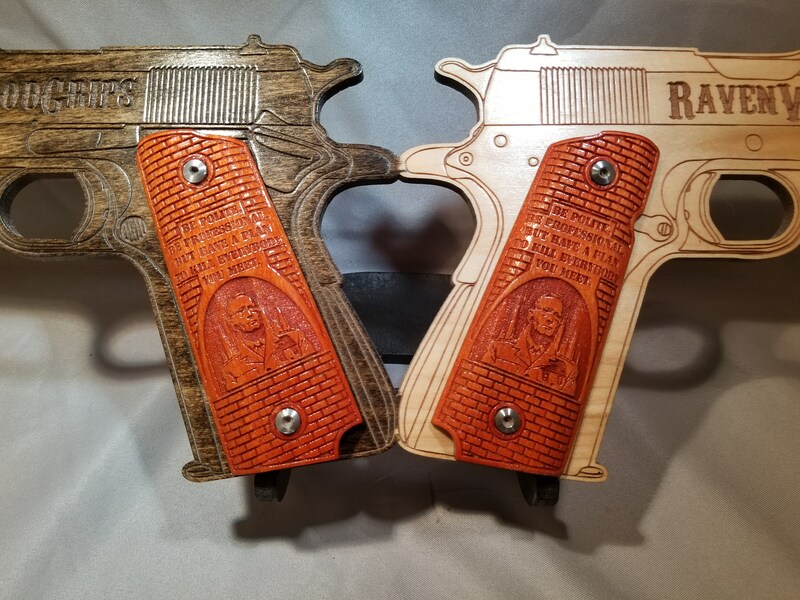 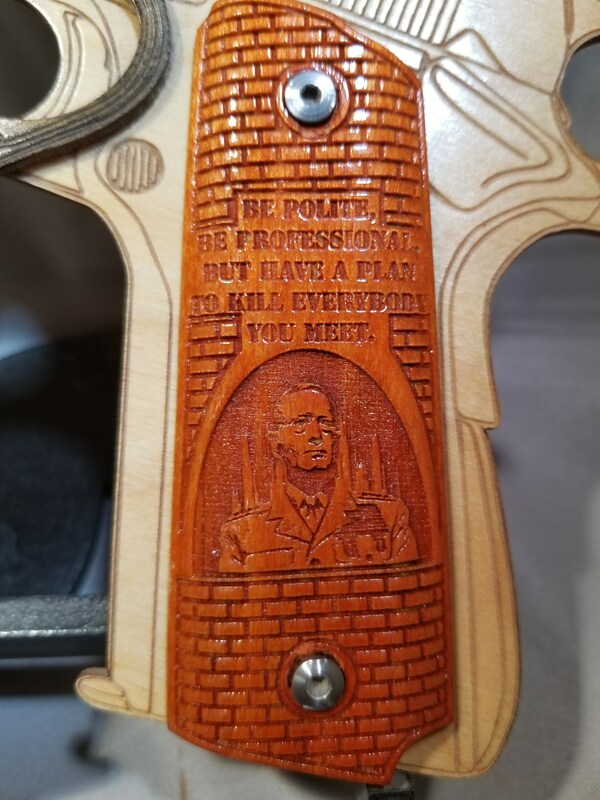 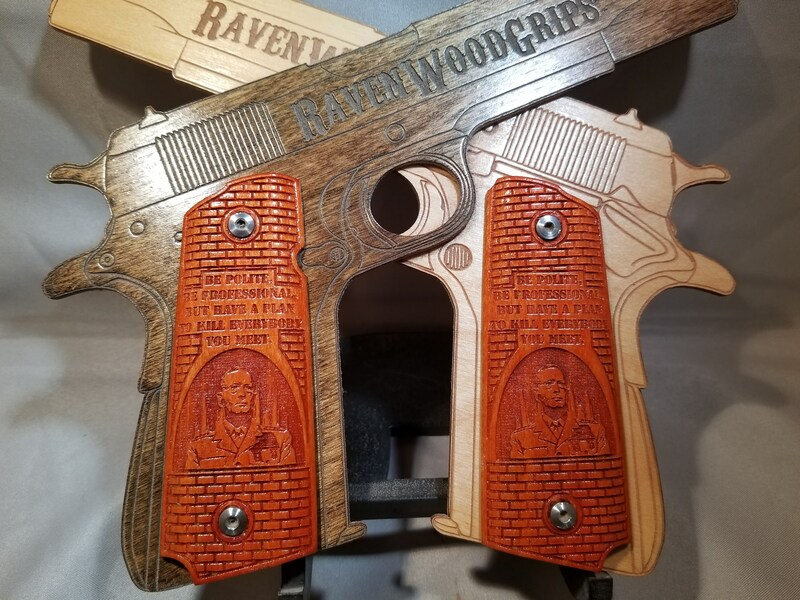 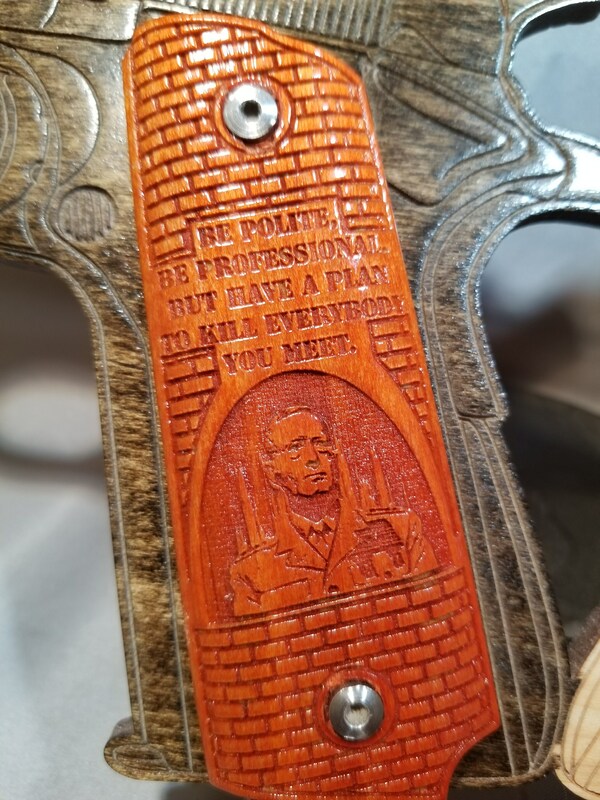 These grips, made from POPLAR, are engraved with the stylized image of "Saint Mattis" below his quote "Be polite, be professional, but have a plan to kill everyone you meet" all surrounded by stylized brick patterning. 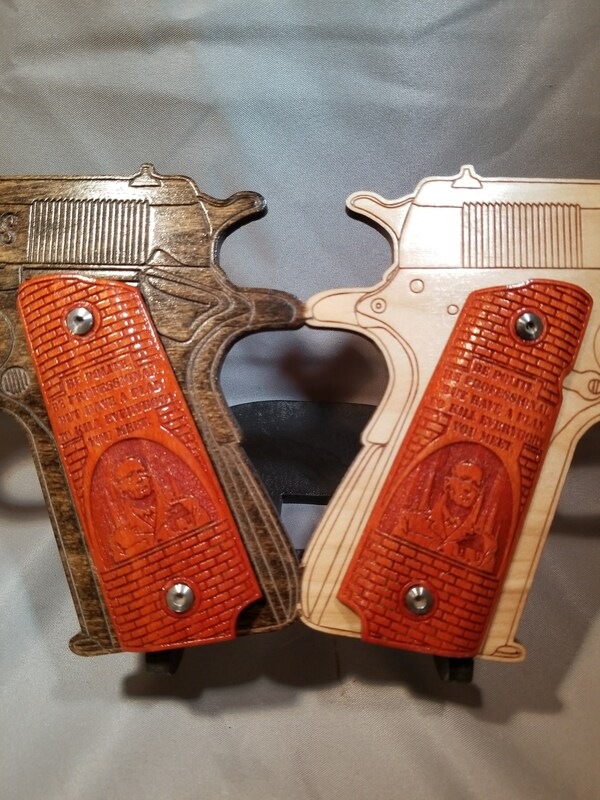 Shown in the picture with the DYED ORANGE stain, you can choose from any in the list to suit your taste. 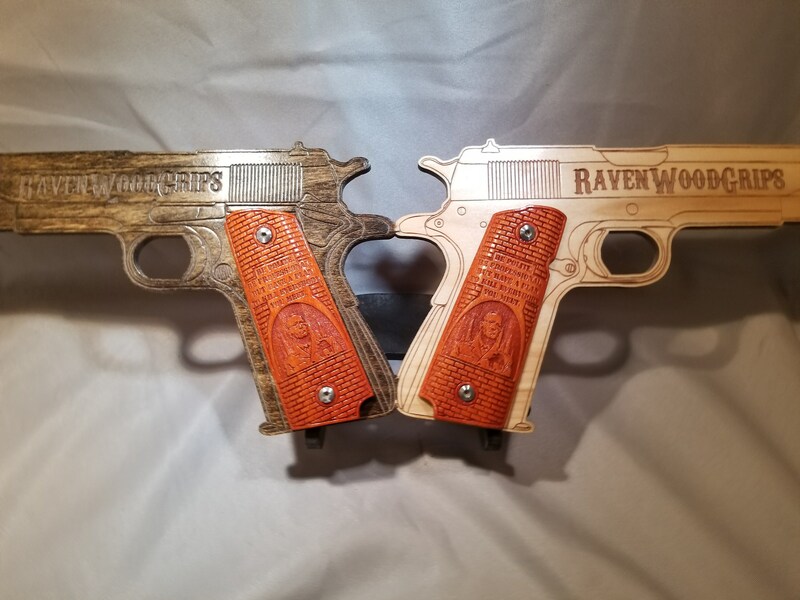 Please feel free to message me, if you would like to see an example of all the finishes!